Amid longterm claims by Yemenite Jews that their children were stolen for adoption in the 1950s, state will open 17 graves for DNA testing. The State Attorney's Office informed the Family Court in Petach Tikvah that it agreed to the request of 17 families of Yemenite Jews to issue orders to open graves and carry out genetic tests to check for possible family ties between them and the remains of bodies in the graves the families believe may belong to long-lost relatives. The decision was made following decades of claims by some in the Yemenite community that children born to Yemenite families in Israel in the early years of the state were taken from their parents shortly after birth by hospital officials and put up for adoption. The parents, activists say, were told that their children had died. While allegations have been circling for many decades that in the early stage of the State of Israel many children of Yemenite families were taken from them and given to be raised by Ashkenazi families, the results of investigations into the claims were inconclusive. An investigation led by the Bahlul-Minkowski Committee in 1967 found that in 316 of 342 cases presented, the child in question had in fact died, while two were put up for adoption. The fate of the remaining 24 children remained a mystery. A subsequent investigation in the late 1980s reexamined the issue, finding that in 65 of the more than 300 cases presented to it, no conclusive evidence could be found regarding the fate of the children in question. In 1994, Rabbi Uzi Meshulam, an activist who claimed the government may have been complicit in the alleged kidnapping of Yemenite children, and his followers were involved in a standoff with police at Meshulam's Yehud home. When police finally broke the standoff, one person was killed and a dozen activists arrested. The incident led the government in 1995 to form a State Inquiry Commission into the allegations of kidnapping, which probed over 800 such claims. While in more than 90% of the cases it was verified that the child had in fact died shortly after birth, dozens of cases remained unsolved. More than two decades later, Prime Minister Netanyahu tapped Minister of the Prime Minister's Office, Tzachi Hanegbi (Likud), to reexamine the issue, and to declassify government files related to the three investigations. 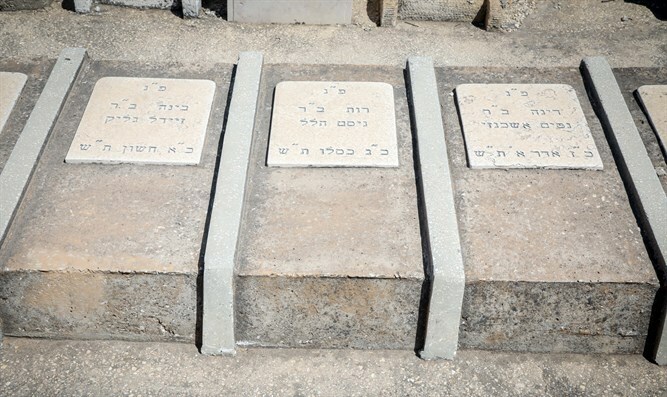 The latest move, permitting the opening of 17 graves, was approved by the Committee for the Dignity of the Dead on behalf of the Council of the Chief Rabbinate of Israel, subject to the fulfillment of conditions that allow from a halakhic standpoint to open the graves of Yemenite children and carry out genetic tests. Under the circumstances, the State Attorney's Office agreed to issue an order to open the graves and take DNA samples for genetic testing of family ties.